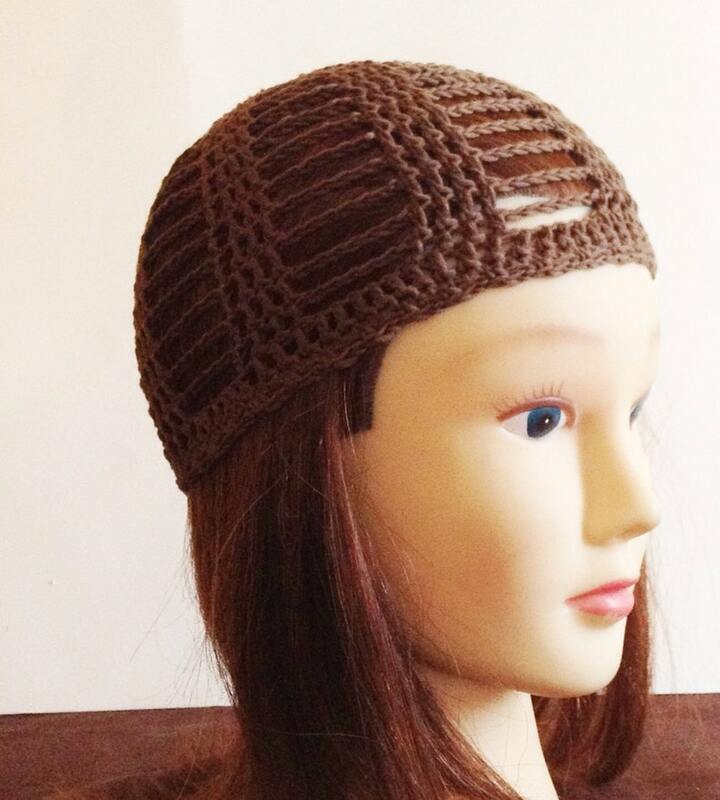 This breezy skullcap was crocheted using 100% cotton yarn in a brown. Measures 7 inches from crown to rim edge 18-20 inches in circumference. Suitable for children around 3-10 years old. *Item should be gently hand washed and laid flat to dry for best results and longer life.